Henry Kissinger once claimed that the viciousness of academic politics derives from the small stakes involved. The way in which personality conflicts overshadow substantive questions among the protagonists may be a better explanation. American politics in the decades after 1865 illustrates this dynamic on a grander stage than academe. Competition for power among the Republican party bosses highlighted personal resentments that drove conflicts beyond the bounds of prudent self-interest. In “Dark Horse,” the story of James Garfield’s surprise election in 1880 and assassination, Kenneth Ackerman combines the elements of a political thriller with a vein of classic tragedy to show how political quarrels set the context for murder. After the upheavals of the 1860s, the public yearned for stability. America had a high level of political engagement and broad voter participation. Politics focused mainly on control over patronage appointments and public offices and vast expenditures made possible by economic growth raised the stakes. 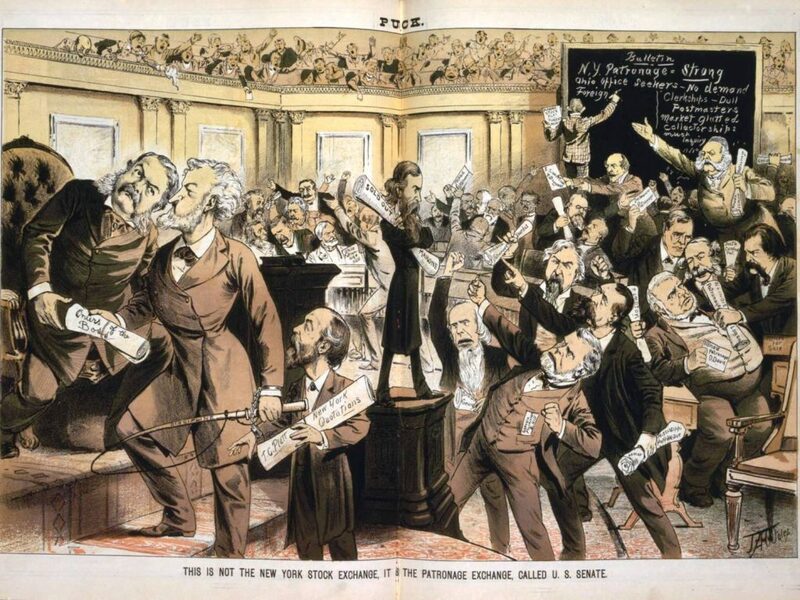 The Republican party dominated national politics following the Civil War, and rivalry between Republican factions highlighted the role of patronage as an end in itself while muting the principled differences in competition between parties. Along with a variety of scandals during Ulysses Grant’s administration, later proposals for civil service reform lay behind the bitter quarrels between the Stalwarts and the Half-Breeds, the two most prominent rival factions of the party. Mr. Ackerman’s story begins with an argument in 1866 between James G. Blaine and Roscoe Conkling. It started over a minor point of contention when Conkling attacked the record of a general whose office he proposed to abolish and Blaine impulsively rose to the man’s defense. Neither man would concede an inch. What Conkling saw as an attempt to cut him down personally infuriated him. Mr. Ackerman notes that no party leader stepped forward to mend fences, leaving contempt to fester between two rising stars of the Republican party. Blaine, dubbed the “magnetic man” from Maine, became Speaker of the House of Representatives. 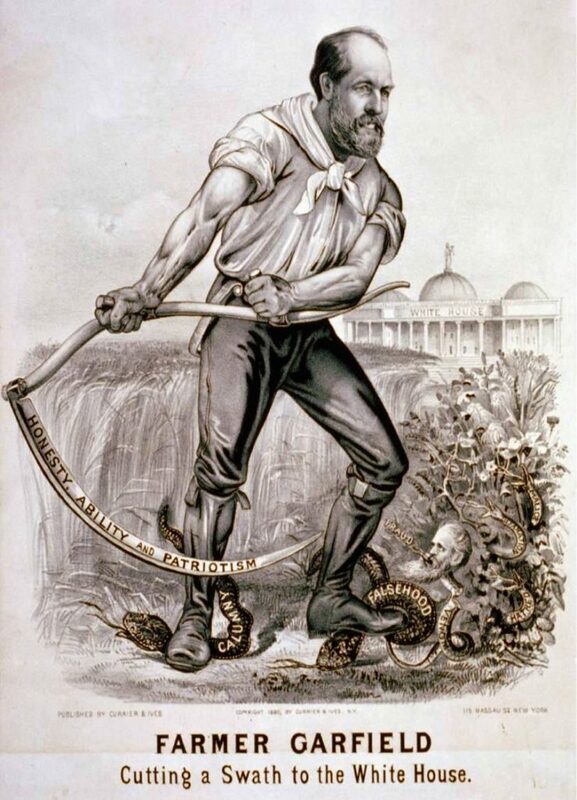 A close associate of Grant, Conkling dominated the Republican machine in New York State from his post in the Senate and later quarreled with President Benjamin Harrison over control of appointments at the Federal Customs house in New York. When Harrison declined to seek a second term in 1880, Conkling managed Grant’s efforts to secure nomination for a third term. Garfield entered the story with the 1880 Republican convention in Chicago where he helped manage the campaign of his fellow Ohioan John Sherman. Although he enjoyed politics, he disliked the antagonisms and controversies that emerged from party strife. Garfield’s measured tone struck a different chord than other party leaders. Talk of an outside “dark horse” candidate had circulated, but when his name arose Garfield insisted that his only purpose was to elect Sherman. Speculation grew as the convention became deadlocked and none of the candidates proved willing to give their support to a rival. Garfield clashed publicly with Conkling over his effort to punish West Virginia delegates who had opposed a measure requiring every delegate to pledge support to the eventual nominee. His measured speech rebuking Conkling’s move won support from the convention, and pressure grew for him to accept the nomination as an alternative. On the 33rd ballot, Garfield won the nomination. He offered the vice presidency to Conkling’s lieutenant in the New York party machine, Chester A. Arthur, in an effort to mend differences. Conkling bitterly resented Garfield’s role in blocking Grant’s nomination, but Arthur ignored his advice to reject the vice presidential nomination. 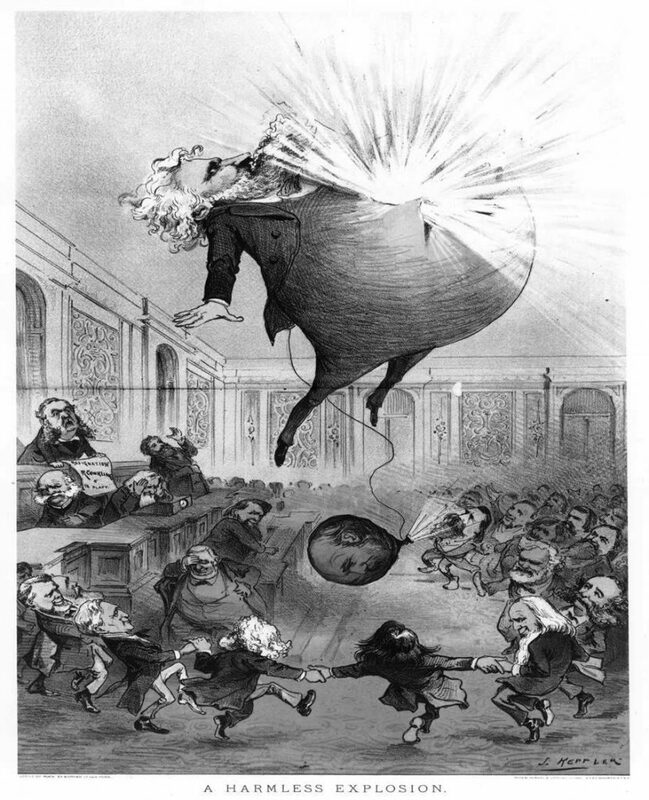 Holding the Republicans together against the Democratic nominee, Winfield Hancock, required negotiations, and Garfield brokered a compromise with Conkling that ensured support from Grant and his friends. Conkling demanded full control over patronage in New York, including the Federal customs house which collected 75 percent of federal customs receipts. Garfield offered Conkling’s associate Levi Morton a top post, either Treasury, Navy, or a major foreign mission, while keeping specifics vague. This satisfied Conkling’s Stalwarts, bringing Grant into the campaign on Garfield’s behalf. Garfield won narrowly that November. Had New York supported Hancock, the Democrats would have edged ahead, and that fact heightened Conkling’s claim after the election. Settling on appointments during the long period between Garfield’s election and his inauguration in March 1881 revived the old conflict from the Chicago convention. No president could accept Conkling’s terms unequivocally without appearing to be his pawn. Garfield sought to strike a balance within his administration, and appointed Blaine as secretary of state to counter the Stalwarts while insisting that Morton accept a post other than Treasury. Conkling, who was not appeased by a meeting at Garfield’s Ohio Farm, led opposition to appointments in the Senate. These bitter conflicts cast a pall over Garfield’s inauguration and early months in office. Into this scene emerged the deranged office seeker Charles Guiteau who cast himself as the Stalwart’s avenging angel. 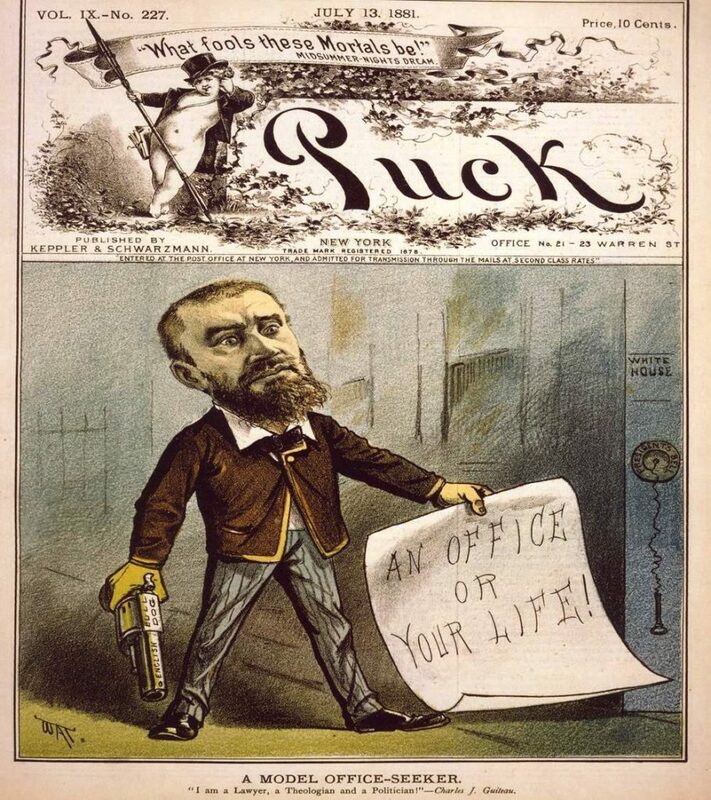 Guiteau wrote pamphlets supporting Garfield’s election and resented that he was not rewarded with a distinguished job afterwards. His role was minor, however, and he was a deeply unstable man with a vivid fantasy life. When factional rivalry broke out, Guiteau shifted from supplicant to stalker and convinced himself that Garfield was a traitor. He believed that after killing Garfield, Stalwarts would seize the government and drive out their opponents. On July 2, he shot Garfield at Union Station in Washington. Garfield lingered for weeks as doctors tried to remove the bullets and cure the infections that followed. Suffering made him a martyr, while his opponents faced the full consequences of Guiteau’s action even though the man had acted alone. Conkling and other Stalwarts lived in fear of reprisals for the shooting. The event itself shocked the public. Lincoln’s assassination was seen as a unique event produced by the Civil War. Garfield’s murder had no such context to explain it. The drama of his passing magnified the horror, and along with the spate of political assassinations in later-19th century Europe, it brought a new sense of danger to the Victorian age of equipoise. The optimistic assumptions of 19th-century society and the sense of America as a kind of arcadia were casualties of Guiteau’s madness. Guiteau killed the Stalwarts along with his target, and Blaine never won the presidency. The amiable Chester Arthur succeeded Garfield and broke completely with Conkling by instituting civil service reforms that broke with his past as a machine politician. Poachers make effective gamekeepers, but Arthur’s move dashed his hopes for re-election and he died in 1885. Conkling’s career swiftly declined, and his last political effort was to undermine Blaine’s campaign against the reforming Democratic governor of New York, Grover Cleveland. 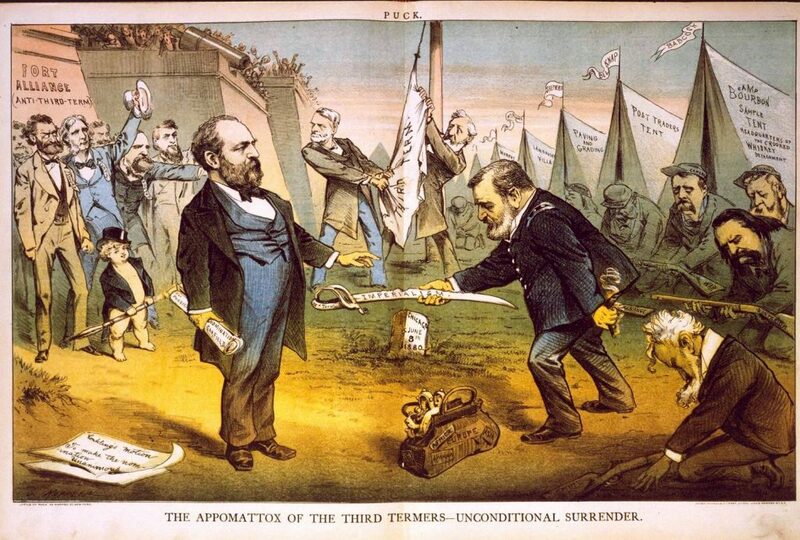 The feud had run its course by 1884, but not before contributing to Garfield’s death and a split within the Republican party. Mr. Ackerman casts the story effectively as a morality play in which bitter personal resentments provide the tragic flaw that dooms the protagonists. That Garfield himself was free of such sentiments only highlights their impact. Characters in the drama had opportunities at each stage to choose a different path, yet they pressed their conflicts regardless of the consequences. Unfortunately, Mr. Ackerman steps on his own narrative with misplaced details and asides that distract from the main story. The result lacks the depth and analytic rigor of academic scholarship and the vividness of popular history at its best. Mr. Ackerman has an eye for politics that few historians share, but his writing strikes a dissonant note that echoes through the book. While an interesting and provocative look at Gilded Age politics, “Dark Horse” leaves the reader with a vague sense of something missing. What does the story mean? Mr. Ackerman never answers the question despite rehearsing the case in great detail. Jim Fisk was said to have remarked after a scandal during the Grant administration that nothing was lost save honor. Vanity and ambition left no room for concern about anything beyond self for politicians like Conkling. Only the shock of Garfield’s murder compelled others to acknowledge their responsibilities, and therein lies the answer to questions Mr. Ackerman’s story raises.